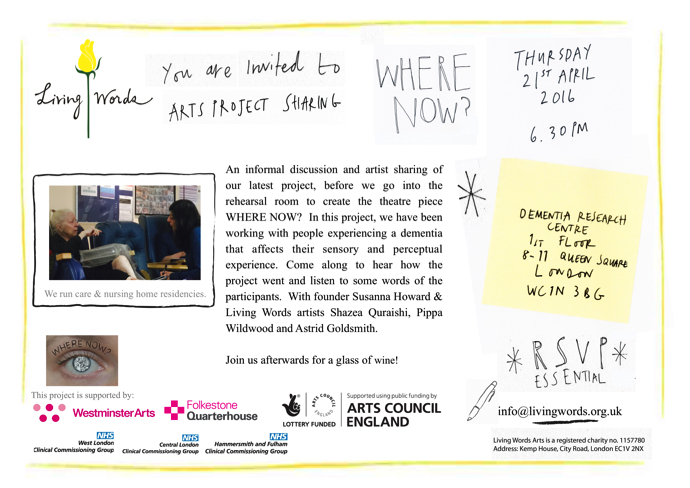 Artist sharing – 21st April. Dementia Research Centre. Open invitation to our project sharing. Thurs 21st April. RSVP needed.